Almost everyone who works with emails on a daily basis and uses their email client as the main instrument for tracking their work, knows about the “Follow Up” feature. I have used this feature for several years in Microsoft Outlook and Mozilla Thunderbird (via extension). This actually helped me improve my productivity – I have started following up important letters, which required action from me or my counterparts. And, as a result, I had a better, clearer overview of my daily & weekly tasks and never forgot about promises I gave. Of course, Microsoft Outlook (as well as other email clients) has a great interface for viewing follow-ups – I can see them in my “To Do Bar”, in “Tasks” and in the “Task List” in Calendar. However, if you deal with tons of followed up emails, you start to panic (believe me – I have experienced that myself). You get reminded every minute, your ‘Tasks’ list is so big, that you cannot actually get any useful information from it. Yes – you still can see your daily tasks in the calendar. But is it enough for great productivity? I don’t think so. Now let me tell you about the advantages that Comindware Tracker has over follow-ups in your email client. 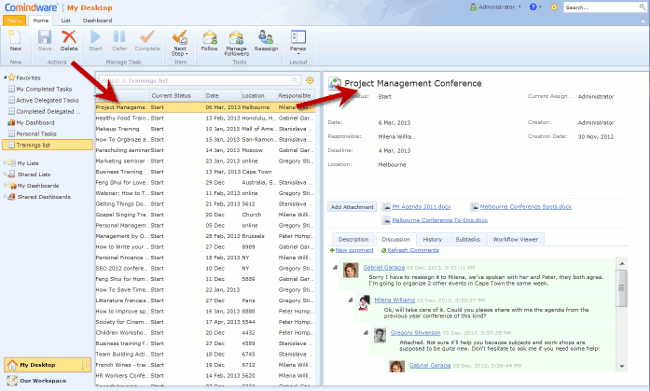 First of all – tasks in Comindware Tracker mean much more than usual follow-ups. 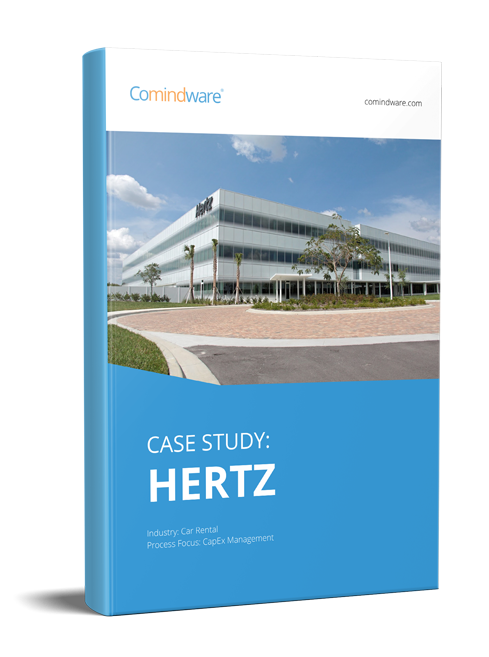 While the form of tasks is similar in both clients, Comindware Task can be part of a greater process workflow. Each workflow step can have one or more tasks linked to it. When all such tasks are completed, the process is automatically moved to the next step and (optionally) new tasks are assigned to the responsible persons. So, if you properly design your process in Comindware Workflow Editor, you can forget about tracking delegated tasks – when your colleague will finish their task, the process will be returned back to you and you will receive a notification about it. Comindware Tracker allows you to create any number of lists, which are similar to the Microsoft Outlook ‘Tasks’ list. However, you can configure more complex selection criteria – for example, you can create a list, which will only show tasks you created last week and were delegated to the marketing department employees. 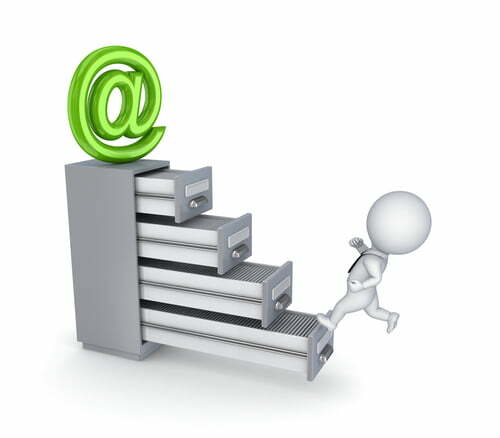 Can you easily achieve it in your email client? I couldn’t, so I moved to Comindware Tracker. you are notified immediately when a delegated task is returned to you or completed. While the task is being completed, you can just forget about it and continue your usual activities – you will be reminded which turns out to be much more efficient rather than the usual follow-ups. I think, I must stop now, because there are so many advantages in Comindware Tracker over your email client, that I could write a book about it. But “a picture paints a thousand words” – just go to the www.comindware.com, create your trial account and start using Comindware Tracker for tracking your own and delegated tasks. Oh no, I can’t keep silent about it – if you’re addicted to Microsoft Outlook and can’t imagine life without it, we have a solution. Just install Comindware Tasks for Outlook and your tasks from Comindware Tracker will become accessible from your favorite email client. Thus, you can continue working with tasks in the usual environment and, simultaneously, get all advantages I have listed above. A free 30-day trial is right here.